Moonlight © PLAN B ENTERTAINMENT ALL RIGHTS RESERVED. It's likely that many of you have visited the cinema in the UK (perhaps you were one of the nearly 500,000 people who attended this year's Into Film Festival?) - but not many people have experience of visiting the cinema in a foreign country. Are viewing habits and cinema rituals the same elsewhere? Our well-travelled reporter Anisha, 19, is drawn to the lure of the cinema wherever she goes, and below gives us her impressions of film-going culture abroad, from navigating in-screen etiquette to deciphering multiple subtitles. 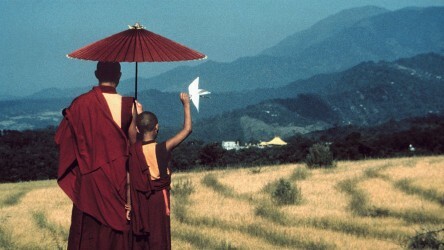 Film possesses the ability to engage the wondering mind of a frequent traveler. Name your favourite road trip film, take the protagonist and make them a cinephile, what happens next? Does the admiration for movies cross borders? Is a film-lover's thirst quenched regardless of geography? If you catch me opting for the cheaper menu items you can guess that I'm saving for movie tickets or plane journeys, and often enough, it's both. Over the past year I've found myself translating foreign cinema websites, perusing the viewing options in whatever country I've taken myself to, often relying on the fundamentals: recognisable and iconic posters. A few times I've attended the obscure and the unknown - most of which have been pleasant surprises and memorable experiences. Overall the experience is aways different (in a good way) to the kind at home. 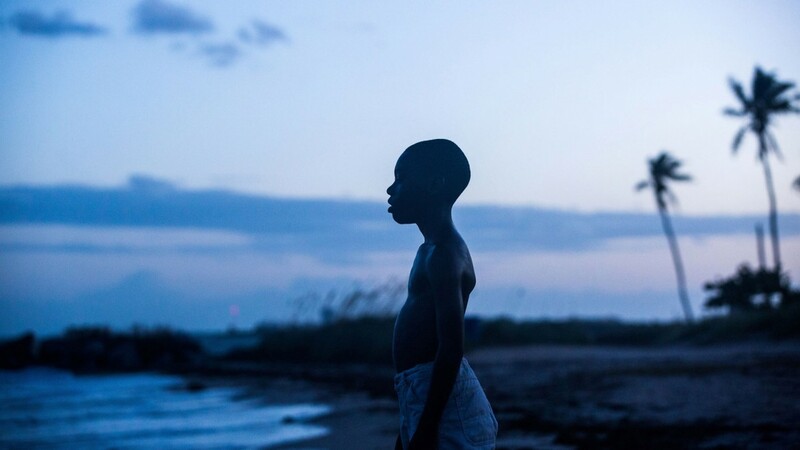 Seeing Moonlight in the Netherlands became the occasional guessing game when Dutch subtitles accompanied French dialogue, and the screening became a game of Chinese whispers for my girlfriend as she translated Dutch subtitles for me, her brain ticking like clockwork against the fast pace of character dialogue. The experience was similar in Bulgaria, where the final words of Ghost in the Shell, spoken in Japanese, are still a mystery to me. Cinema etiquette,subject to location, fascinates me every time. A screening of Shot Caller in Vietnam taught me that being on your phone during a film isn't complete taboo, as the rows of glowing screens proved. Snacks weren't limited to the common hotdog and popcorn bucket combo, but an extensive array of hot (and often mystery) sizzling street food. I should probably note here that food and tickets in Asia tend to cost no more than a total of £4, which is heaven for a student on a tight budget. More times than I care to admit I find myself listing the aspects of life that are universal. For example, I often start with things like maths and laughter, both of which are the same worldwide. During my travels it becomes wonderfully evident that film, under the umbrella term of art, fits into this list. The seats, the tickets (great for pin boards), the screen, the posters: they're the fundamentals. Occasionally, however, the experience is unpredictable and uncontrollably awe-inspiring. On a trip to visit family in Kathmandu, Nepal, I took a weekend trip to Pokhara, where I saw The Truman Show for the first time with a mountainous backdrop, on a ‘DIY' projection screen, with the dramatic accompaniment of monsoon weather. We sat by a bar offering free bug spray, and heavy, homely blankets, shielded from the impressively relentless rain by picturesque bamboo roofing. On the coach journey to our destination we met a woman beginning her medical placement at a nearby hospital. On her first night we attended the cinema together with my aunt and uncle, and found that a larger crowd from her hostel also joined. The backpacker culture and word-of-mouth: a perfect combination when it comes to the precious, ‘secret' finds. ‘Oh there's this place, not from the guidebook, I found out from a friend of a friend, and it's great…' And so, the lovers of film seek out and pursue a beautiful experience. A screening of Bad Genius in Malaysia, which is the film that opened the NY Asian Film Festival, ended up being one of the best films I've seen abroad. With Thai dialogue and subtitles shown in English, Malay and Chinese (all at once), there was no escaping the feeling of being in a foreign country. The audience was brought together by the communal laughter shared amongst a diverse linguistic background - a kind of communication, or relation to strangers and locals via the familiar route of film. From the variations of audience responses, to eclectic screenings and region-specific cuisines, you can find something special about any foreign cinema, and leave with a memorable experience and a wide smile that'll last the rest of your trip. Anisha is an English Literature and Creative Writing Student at the University of East Anglia. She writes for her student newspaper and enjoys expressing herself through short film, spoken word and stop-motion animation. 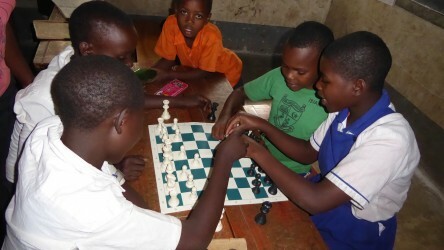 One teacher recounts how film helped his school in Hampshire link up with their twinned school in Uganda, coming together to learn from each other's experience. How do cinemas choose which new films to show audiences? 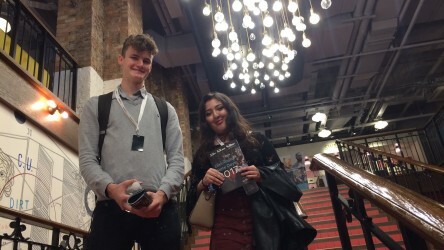 To find out more about the decision-making process, we sent our reporters Joe and Ceyda to film industry insider event Distributor Slate Day 2017 in London. Our Theme for the Summer term is Beyond Hollywood, exploring world cinema and foreign language, independent and British film from outside the mainstream.